Michael Daddio of Chicago is a very lucky man. Everyone gets a birthday, but few people can say they have two birthdays – and he’s one of them. It’s true, judge for yourself if you like. He was born on March 6, 1969, one of eight children. 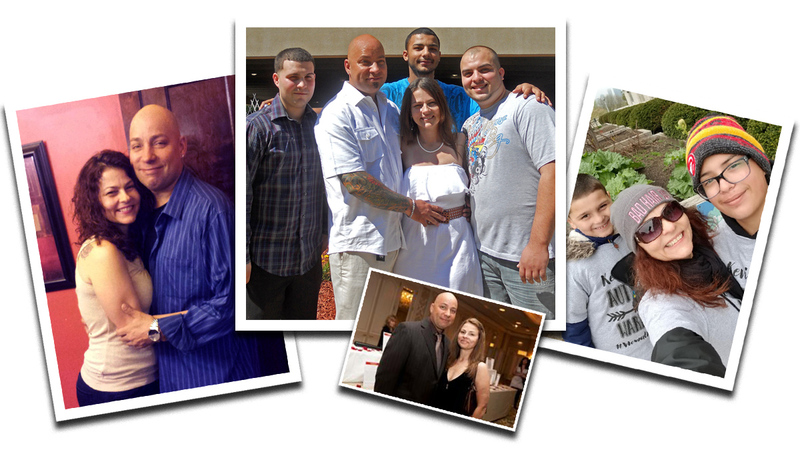 Then he was diagnosed with terminal cancer and was told he may not survive the emergency surgery needed to save his life, and when he awoke on August 30, 2011, he was born again into a new life, thanks to modern medicine. You can argue this point if you like, but the tattoo on Michael’s arm has that second date inked into his flesh will not change, nor will his opinion that he’s been blessed with a second chance and given a second life. I don’t know if he plays the Lottery or not but in the lottery of life: Michael Daddio hit the big time. 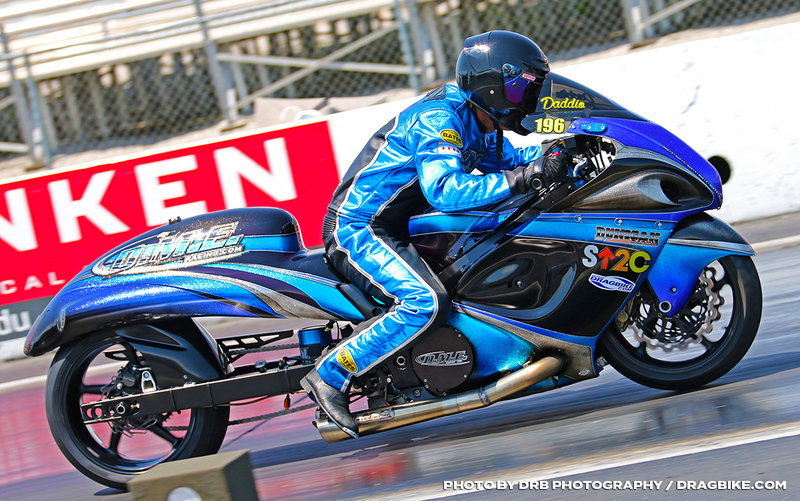 If you further consider that Daddio, yes that’s actually his real last name, is a motorcycle drag racer and enjoys high-speed adventure 1320 feet at a time, you can understand why he may just be the luckiest man in the world. To up the ante here, he has a beautiful wife, Allison, four sons, Justin (30), Julian (29), Michael (29), Joshua (27) and two Grandsons, Justin (13) and Caleb (6) who love drag racing. That’s a lucky and rich man in anyone’s book right there. Now add to this Michael Daddio has a great job. He is an underground cable splicer for Com Ed in Chi-Town, hard work and long hours yes. Earn his pay – you betcha; 16 hour days, 5-6 days a week, that’s what it takes. And with that money his bills are paid and with the help of his friends, his drag bikes are fast and furious. Michael races typically in the Crazy 8’s, Street Fighter, and ET classes, as he has for years. 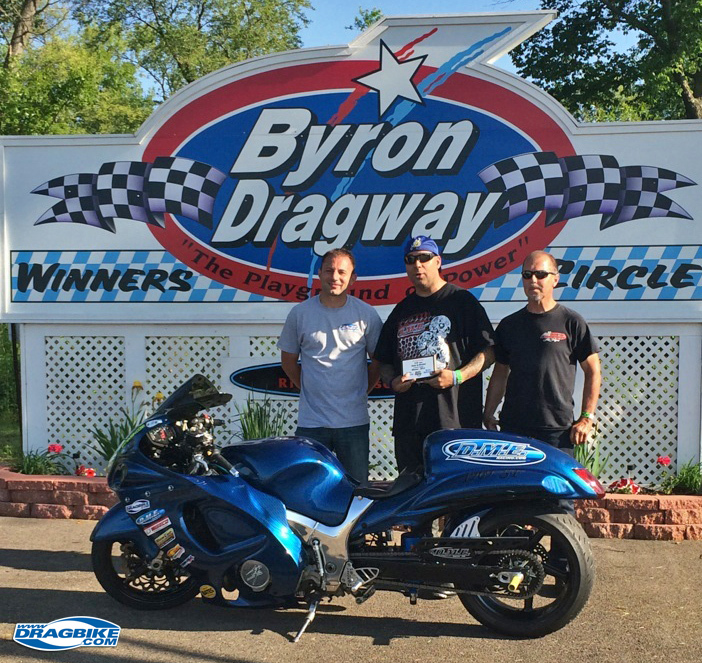 His first win was at the last AMA/Dragbike event in the year 2010. 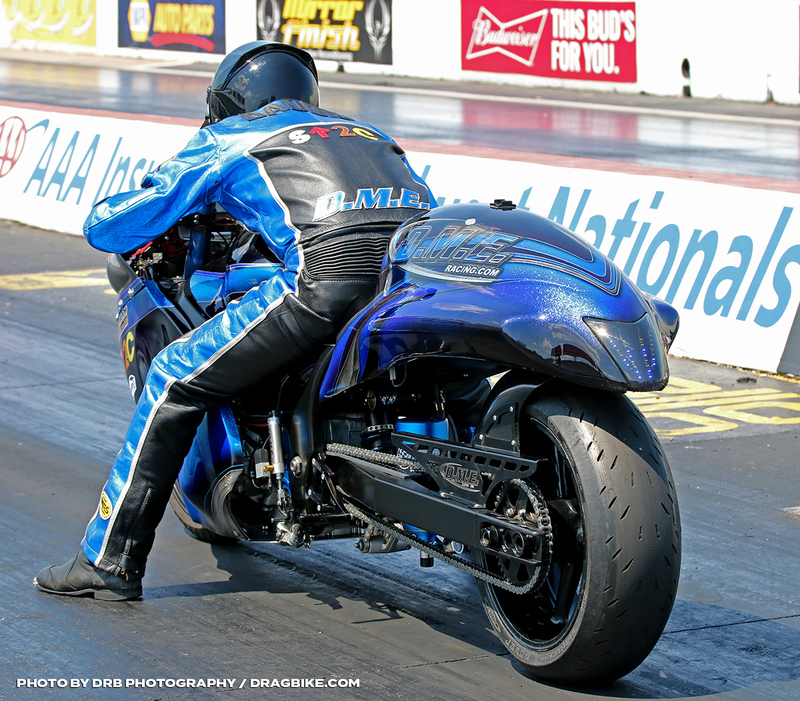 Since his recovery from his cancer, he’s been racing all the classes as mentioned with Man Cup, NHDRO, and other sanctions. He’s even been lucky enough to turn Pro in 2018 by stepping up to the Pro Street class with the help of his close friends in Dunigan Racing. 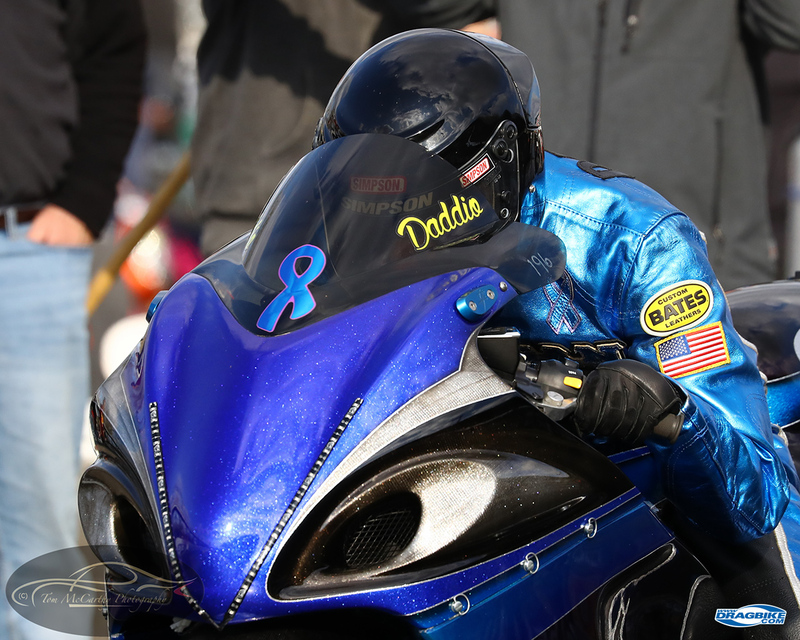 Jason Dunigan is a very close friend of Michael Daddio and this, of course, helps bring Daddio’s racing program under the umbrella of DME racing. 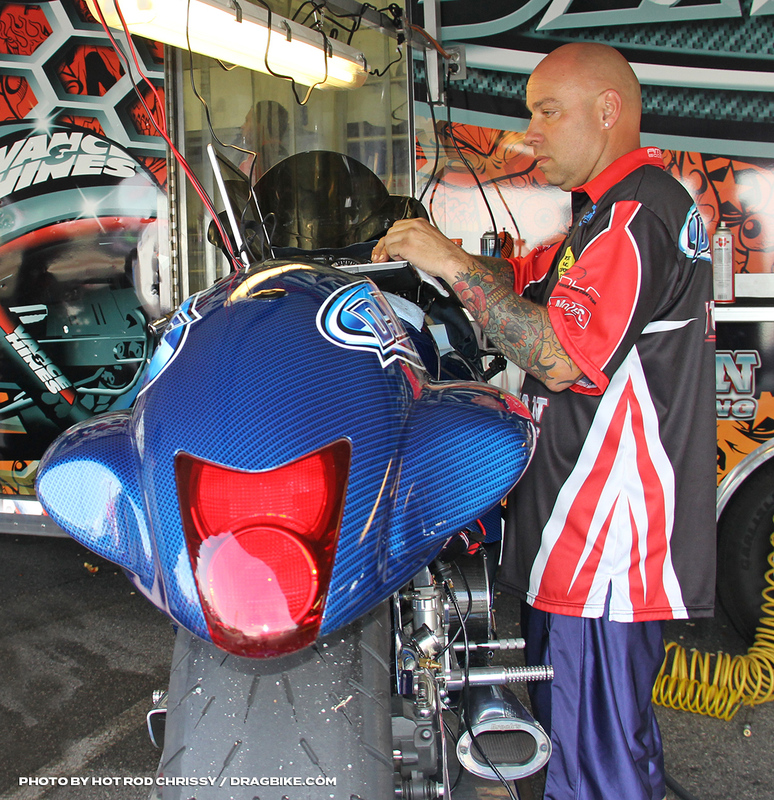 Any motorcycle drag racer lucky enough to receive the advice and services of Dimey Eddinger and Andy Sawyer is fortunate indeed. Michael started out on two wheels in the late 1980’s when he was taught by his older brother Kris how to ride a motorcycle, a 650cc Yamaha. Later in life, Michael purchased a 600cc Suzuki Katana as his first motorcycle, but that was not enough bike for him. 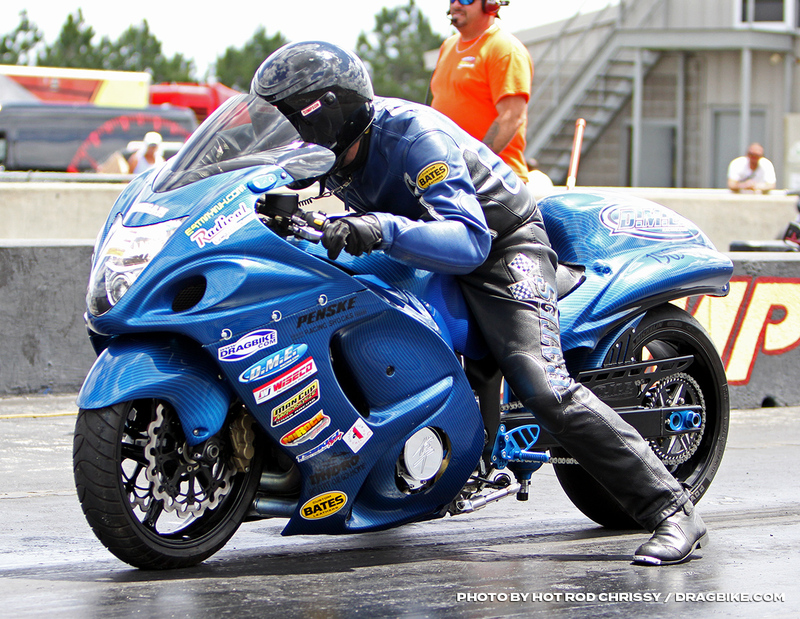 In a matter of months, he moved up to a Suzuki GSX-R1100 and has been twisting throttles on the ultra-fast stuff ever since. In the mid 90’s Michael had a friend, a co-worker, who was into drag racing and he invited Michael to the track one weekend. Well, one thing leads to another and in 1995, Michael Daddio found himself at the AMA/Prostar national event that year at the Indianapolis Raceway Park. There he saw the greats like Elmer Trett, Tony Lang, Ron Webb, Chris Hand in Top Fuel, and the whole cast of the world’s fastest drag bikes. He was hooked for life after that. 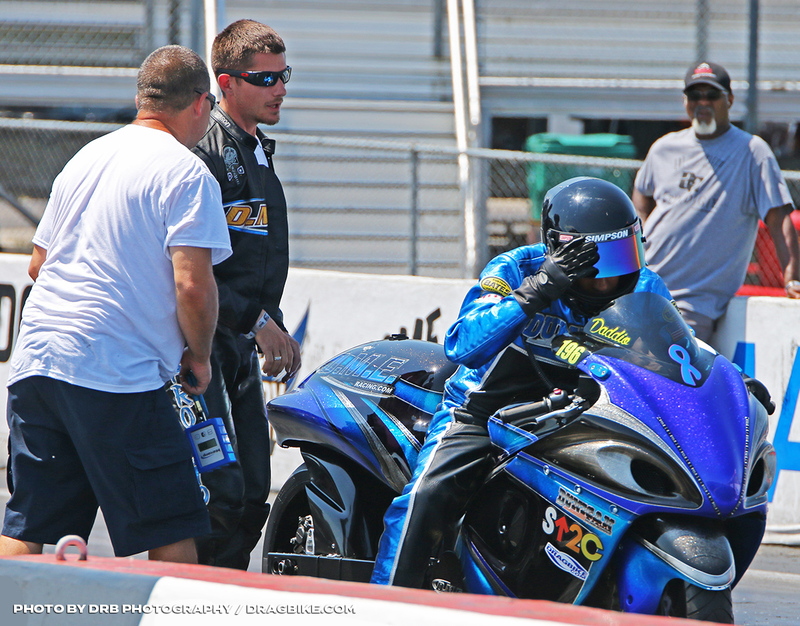 Daddio letting Jason Dunigan take his sportsman bike down the track for the first time at Lucas Oil Raceway. His story unfolded like this: “I was at work, and my Foreman sent me home because I was too sick and in too much pain to work. Between my Foreman and my then Fiancé’ whose sister was an ER nurse at the time, together they convinced me I needed to go to a hospital and get checked out.” So, he ended up in the Presence Resurrection Medical Center where a lower GI Series of tests were ordered, including a Colonoscopy. Michael’s lower bowel was so cancer-ridden, it was becoming infected, and he was in great danger of systemic infection and the loss of his life if the bowel burst. The doctors told him at the time, they needed to operate right now and even in doing so they could not guarantee his safety or that he’d come out of the operation okay. But this needed to happen right now. He gave them consent, and within the hour, he was under the knife with an experienced team fighting for his life. 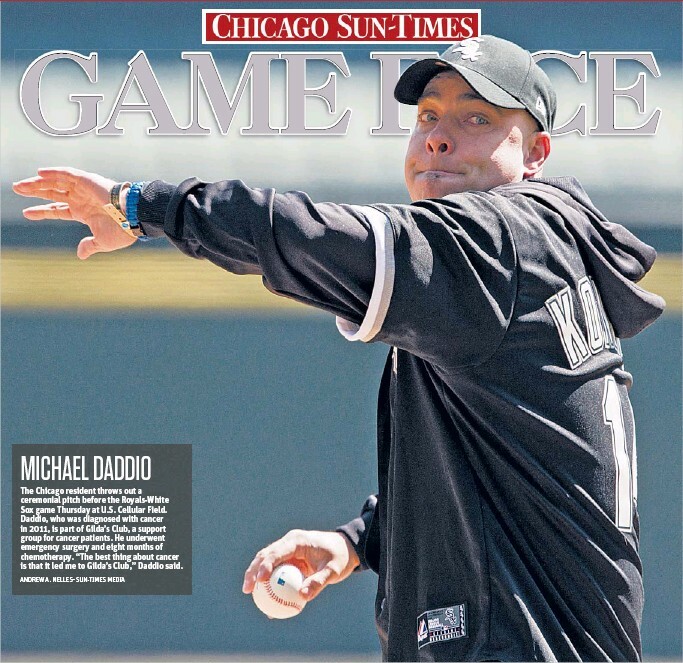 The Chicago resident throws out a ceremonial pitch before the Royals-White Sox game at U.S. Cellular Field. Daddio is part of Gilda’s Club, a support group for cancer patients. Every year, Daddio’s friends support him at the local cancer walk. Michel Daddio may just be the luckiest man in the world. 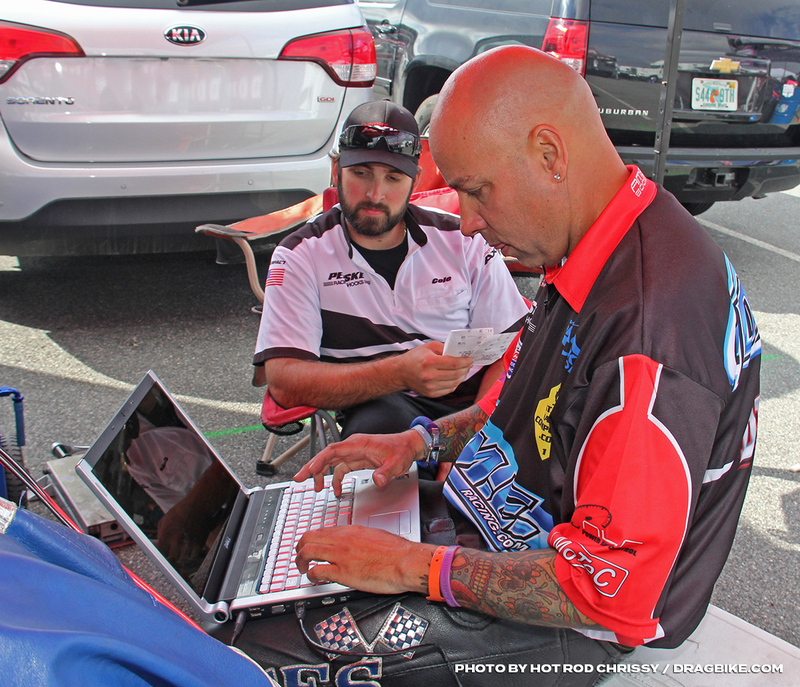 He’s been through a lot, and he’s still standing with a wife and a family who love him, an extended drag racing family cheering him on, and as of 2018 – he has no plans to slow down. In fact, he’s taking his racing program to the next level. For 2018 Daddio has decided it’s time to go faster and set new personal records. When he started working on his bike at the beginning of February he had no idea just what was about to happen to his winter upgrades. After a few phone calls to his friends, he got a response he had not anticipated. And what started as winter upgrades turned into a new bike build. With the help of great companies and good friends, the only thing original on his bike from 2017 is the frame! Dave Dunigan, Jason Dunigan, and Daddio in Indy 2013. 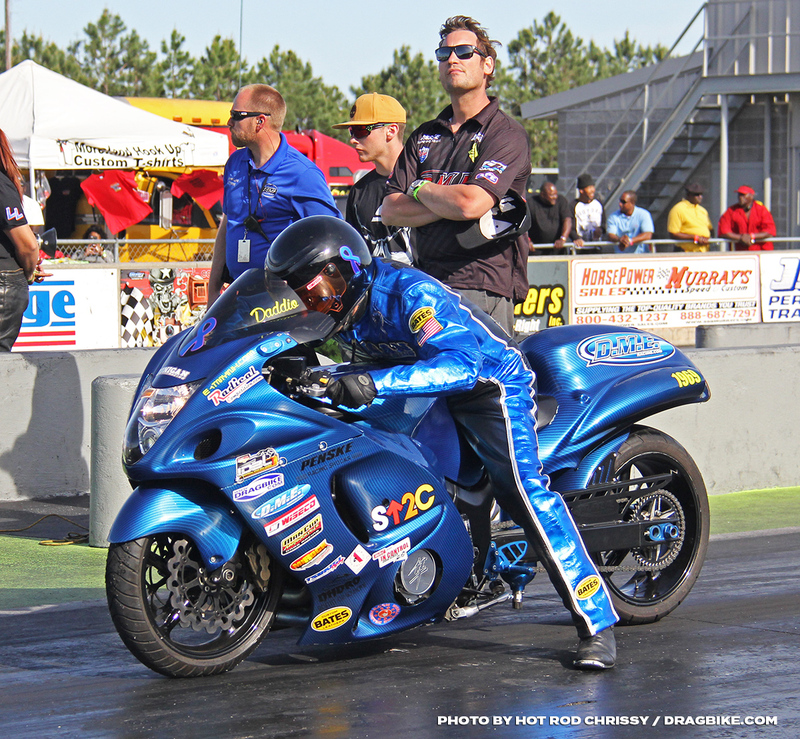 Daddio and Dave Dunigan began working on the bike and motor in Michigan, and before you know it, they were taking the bike over to North Carolina to DME Racing. The DME Shop during pre-season, as you could imagine, is wall to wall customer bikes, team bikes and everyone is working overtime. “I can’t thank Dimey and Andy enough” said Daddio. “I was grateful they were able to make time for bike, but then as you see them working and you look around the shop, you realize how much they have going on. 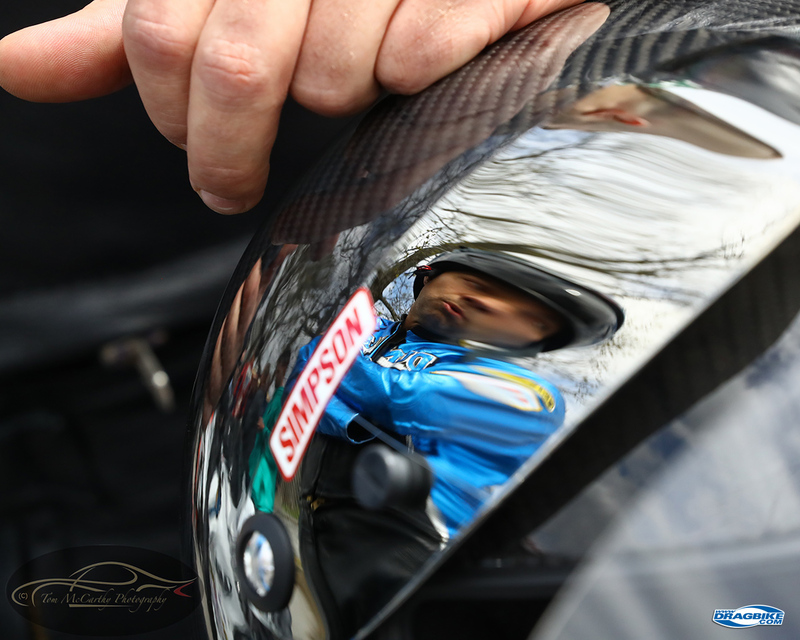 I am not a Pro, I am just a sportsman racer, so that meant everything to me. We added a fairing stay, cut radiator and of course a DME Racing exhaust and lots of other DME components. Cole Seitzinger of Penske helping Daddio with tuning changes before another round of eliminations. From there DME recommended the bike go to Ryan Schnitz at Schnitz Racing for wiring since he is close to my area. “Ryan exceeded my expectations. The wiring is beautiful, it was done fast and at a great price, I couldn’t be happier with my experience with him” said Daddio. 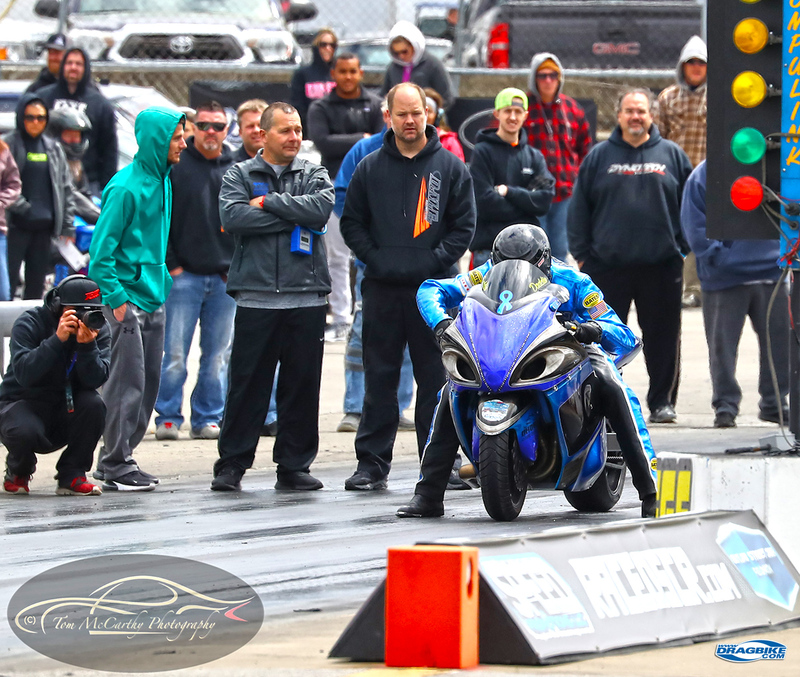 Then the bike heads back to Michigan to Dunigan’s to get ready for the first race of the season only a week away. Dave and Daddio but more time in getting the bike ready, but they were missing a few things, and after a call to DME, they decided they would have to finish it up at the track in Georgia. 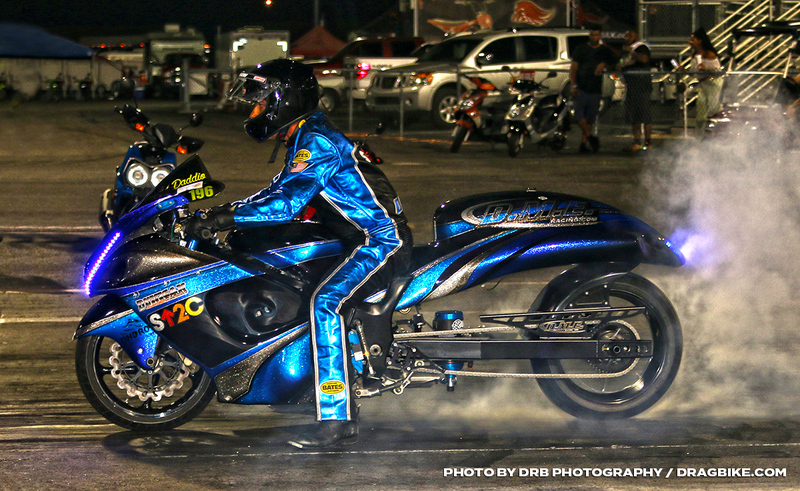 So off they go with an almost finished bike for one of the biggest season openers of motorcycle drag racing, Man Cup. “By the time we made it to the track, I had hardly slept in days” said Daddio. 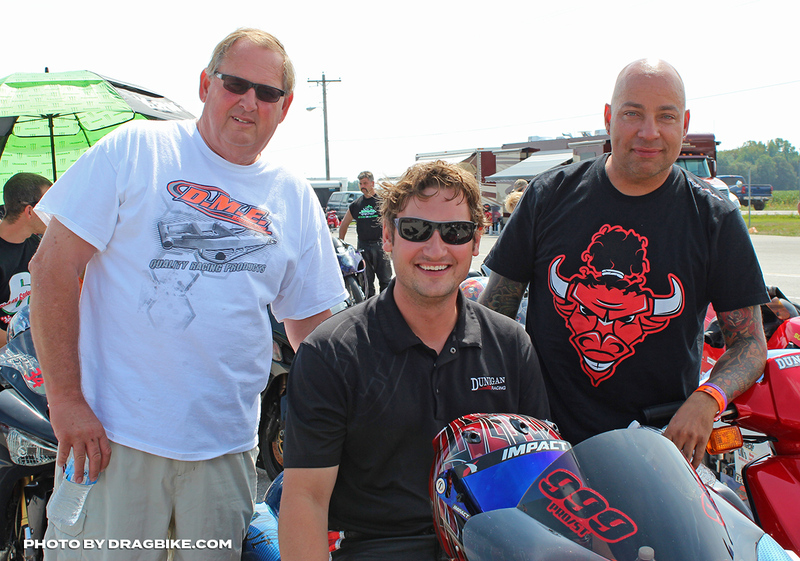 “And not just because of getting the bike ready, I was so excited about this bike. I had never ran a 2-step before, the whole setup felt different, and it just came together so quickly. I hadn’t had time to process the countless hours that were spent traveling between North Carolina, Indy, Michigan, and Chicago in just two months. 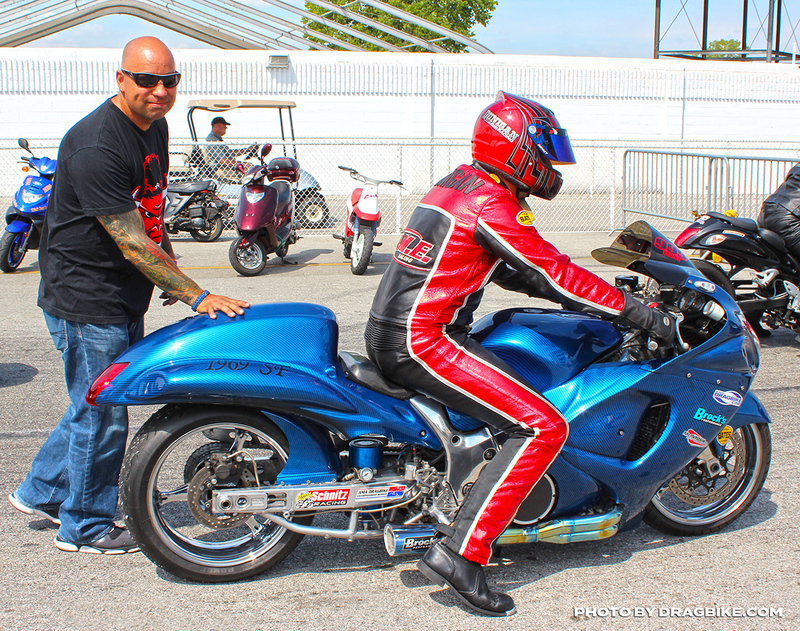 On the first day of testing at SGMP, it was all hands-on-deck to finish up the bike and get Daddio down the track. 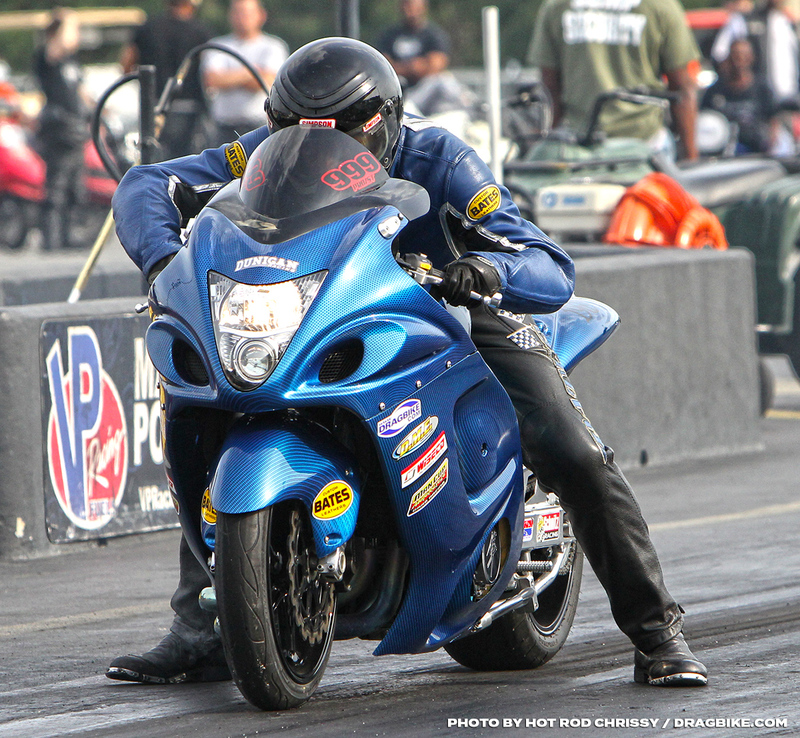 And it only took a few passes for him to break his personal record with a 7.86 on nitrous. You couldn’t get the smile off his face the rest of the weekend! 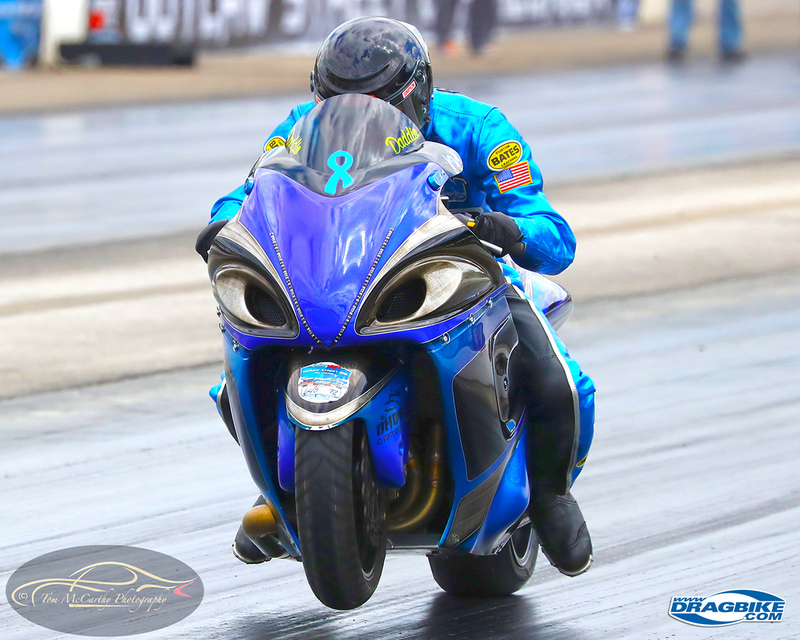 So with the bike tuned and going in the direction, Daddio now heads to Virginia Motorsports Park this weekend to make his debut in XDA’s Top Sportsman class. All his tuners and friends will be at this event and he is looking forward to a great event and possibly running another personal best ET. Daddio would like to thank: First I thank God for all that he has given me, and the great people he has put into my life. Jason and Mr. Dunigan, they treat me like a real brother and son without hesitation. Chris and Chris Connelly Jr., for going out of their way to always help me, I am grateful. Dimey, Andy, and Terence Angela at DME Racing for all the long hours and hard work to build me an AWESOME bike in record time, and for the constant help and encouragement. Jeremy and Crow Teasley for never hesitating to stop and help me with my bike and pushing me from the pits to the starting line. Cecil Towner of HTP Performance for the countless hours helping with my Motec and more. Ryan Schnitz for his fantastic custom wiring harness on the new bike. Cole Seitzinger at Penske Shocks for always making sure my bikes are right. Brandi at Dragbike.com for being awesome and always checking on me. Dawn Grindle at Bates Leathers for my Sˆ2C [Stand up to Cancer] leathers. 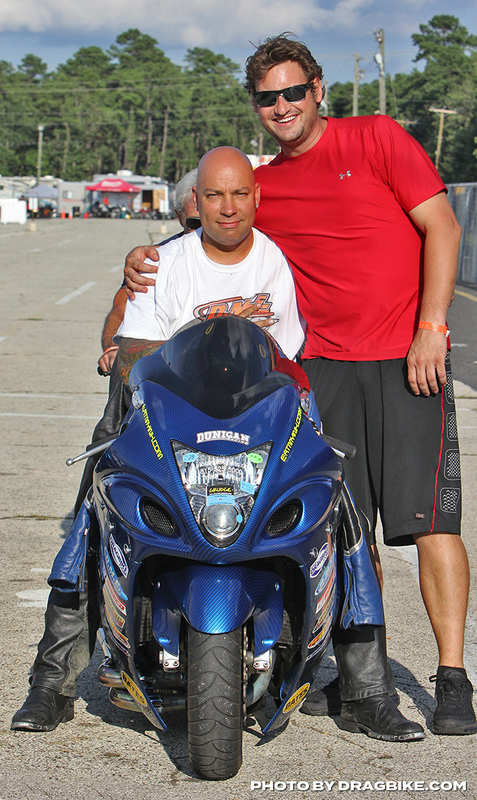 Phil Stoll for bringing me around Pro Street bikes when he rode for Ronnie Mitchell. Last BUT definitely not least my beautiful wife Allison and my family for always standing behind me and insisting I keep following my dreams.